A lot of the rumors surrounding Apple's plans for its next two smartphones, including a 4.7-inch iPhone 6 and a much larger 5.5-inch version, have suggested that the former will launch in September while the latter might not hit the market until the fourth quarter of this year. A new report yesterday suggested that Apple fixed issues related to battery production for the iPhone 6 phablet, and now one analyst says he has good reason to believe both phones will be unveiled together in September. Brian White, an analyst with Cantor Fitzgerald, was recently browsing the show floor at the Computex trade show in Taiwan and noticed that a lot of the accessory makers are already prepared to launch new products for Apple's larger iPhone 6 phablet. Several leaked schematics have led to the release of many dummy units used to create accessories for the smaller iPhone 6 – we even have one of them – but so far we haven't seen any dummy units for the bigger iPhone 6 – apparently they're out there somewhere, though. "We noticed that a few vendors had already started work on accessories for the 5.5-inch iPhone 6 and the pieces were available at the show," White said in a report. "Given the lack of data points in recent months around progress with the 5.5-inch iPhone 6 and growing skepticism in the media around a 2014 launch, we view this as a positive development. Based on today's research, we believe the timing of the 5.5-inch iPhone 6 launch appears to be in sync with our expectation around the unveiling (i.e., September) of the 4.7-inch iPhone 6." White doesn't cite anything other than the accessories popping up at a trade show, however, where it's common to see that kind of guesswork take place. In fact, several case makers created the wrong accessory designs leading up to the iPhone 5 launch. 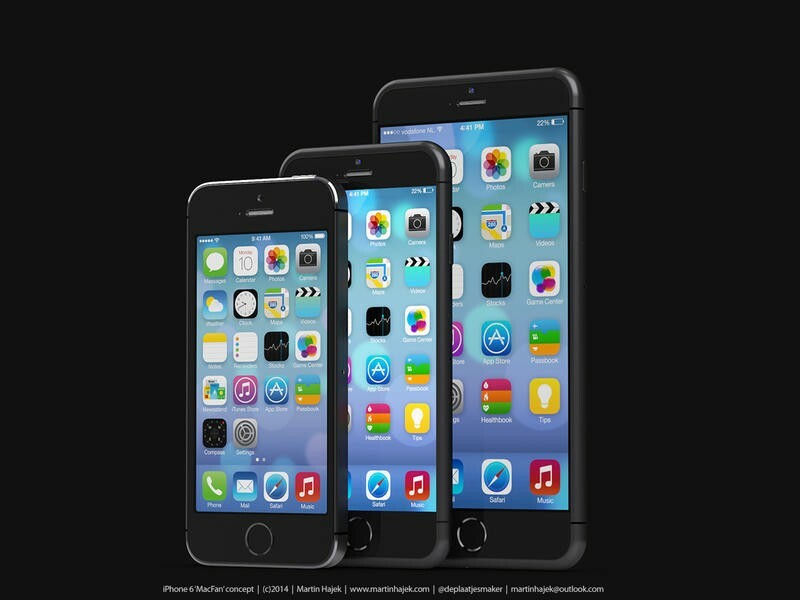 We're still skeptical that the 5.5-inch iPhone 6 is coming so soon, but at least one analyst thinks it's in the cards.